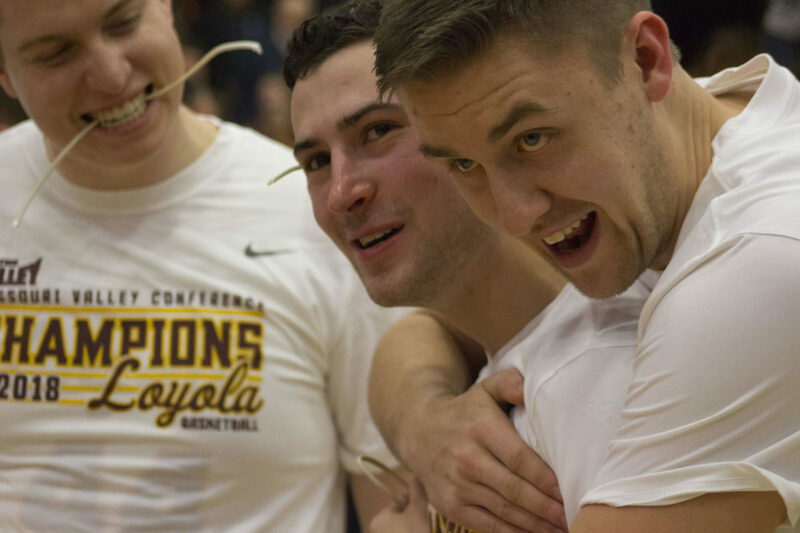 Former Loyola center Carson Shanks became the fourth former Rambler to sign a professional contract Aug. 15. Shanks took to Instagram to announce he’d signed a contract with Gzira Athleta Basketball Club in Malta, an island country in Southern Europe. In a phone interview with The Phoenix, Shanks gave credit to his agent, Ben Khabie, for the opportunity to continue his basketball career. He also said playing in Malta wasn’t an option until the last month because the island nation’s so small, Shanks didn’t know anything about it. After doing his research, Shanks learned Malta’s population is over 475,000 and its native language is English. Most of all, he said the pictures of the country were beautiful. Shanks transferred to Loyola from University of North Dakota last season as a graduate student. He became the first 7-foot player to wear a Loyola uniform in a game when the Ramblers beat Division III school Eureka College 96-69 Nov. 12. In a season marred by injuries — first by a shoulder injury, then by a concussion — Shanks only averaged 0.8 points per game in 13 contests last year. He took on more of a supporting role, helping then-first-year center Cameron Krutwig develop into the Missouri Valley Conference Freshman of the Year. Now, he said he’s fully healthy and ready to start the next chapter of his career. Shanks, Donte Ingram, Ben Richardson and Aundre Jackson have all signed professional contracts. Aug. 2, The Phoenix reported Ingram will be signing an Exhibit 10 deal with the Dallas Mavericks. Richardson signed to play overseas in Poland July 20 and Jackson signed to play in Iceland July 26. This is the first time four members of the same team signed professional contracts since at least 2000, according to Loyola Athletics.